New from BLACK+DECKER! The advanced helix design improves mixing performance* by maximizing beater overlap and mixing ingredients in multiple directions. The BLACK+DECKER Helix Performance Premium Hand Mixer features reinforced nylon beaters with 2x the surface area* and 2x the mixing performance*. The 250-watt motor runs at five speeds, including a more controlled* starting speed to help prevent splatters. Plus, a special turbo boost adds a power boost at every mixing speed to combine thick ingredients in no time. 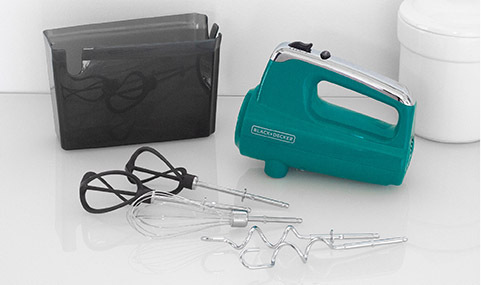 This set includes two helix beaters, two dough hooks, and one wire whisk; allowing you to quickly create cake and cookie batters, bread doughs, spreads and dips, homemade whipped cream, whipped egg whites for a tasty meringue, and many more delicious recipes. All accessories are stored conveniently in the smartly designed storage case, which uses the mixer itself as the snap-on cover. Cleanup is a breeze with the auto-eject button that quickly disconnects the dishwasher-safe mixing tools. Plus, you can further prevent messes with the heel and bowl rest, which allows the mixer to sit upright on the edge of the bowl. Increased surface area of the beaters allows for more contact with the ingredients and complete control of mixing. Find the right speed for every mixing task. Plus, the turbo boost button automatically increases the mixer to top speed for tough mixing tasks. The perfect amount of power for mixing batters, doughs, spreads, toppings and more. The improved design maximizes beater overlap for fast, efficient mixing of batters, doughs, spreads, toppings, and more! 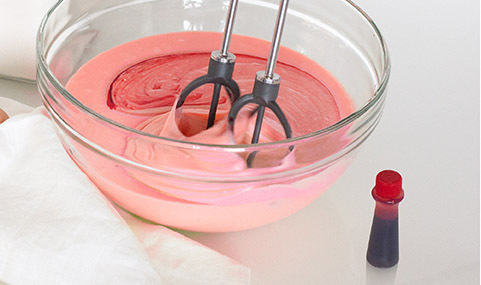 This mixing set includes: two helix beaters, two dough hooks, and one wire whisk. 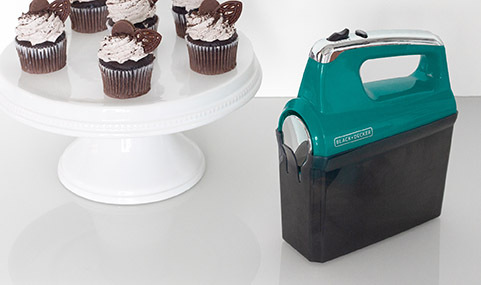 The storage case holds all included accessories and uses the mixer as the snap-on cover. Reduced first speed* to help prevent splatter and loss of ingredients. The helix beaters are made with reinforced nylon, delivering strength to handle tough mixes and durability for consistent performance. 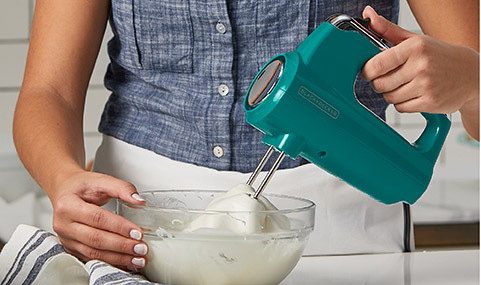 Helix Performance™ Premium Hand Mixer, Teal is rated 4.5 out of 5 by 56. Rated 1 out of 5 by Sammysue222 from Died It died literally 2 seconds into the first use. I attached a picture of my immense disappointment. Rated 1 out of 5 by manda2008 from Didn't last After my old mixer finally died mid-recipe, I bought this thinking it would be a good replacement. From the beginning, it was difficult to eject the beaters and the batter climbed the helix mixers. Then, a month after buying it, it died. I heard a sound of something breaking inside. The motor runs, but the beaters don't move. I bought the protection plan from the store, and I'm about to find out how that process goes or if it's under warranty and I have to deal with that. Rated 5 out of 5 by juliabradley26 from Great mixer! I have used this multiple times and it is a great mixer. 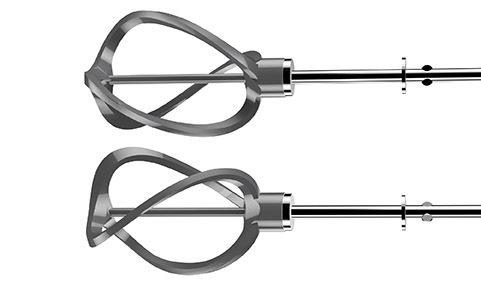 I was just wondering if there is any way I can purchase an additional whisk attachment? It only comes with one and it makes whipping merengues quite time consuming. Other than that I love this product. Rated 1 out of 5 by Terre from Piece of junk Bought this this morning and I returned it an hour later. It wouldn’t even cream softened butter. It’s splattered batter everywhere. It’s almost impossible to eject the beaters. Worst of all, you have to keep stopping and manually unclogging the beaters, which fill up with better almost immediately upon mixing. What a waste of time. Rated 5 out of 5 by LauraLea1983 from Absolutely fantastic I love this mixer. With it, I don't have to worry about scratching my bowls! It works fantastic! I bought one of these mixers and just tried it for the first time. I had to stop and mix with a spoon instead because the beaters kept popping out. How do I get them to stay in? I am contemplating purchasing this product. My question is I have Calphalon non-stick cookware and cannot use metal in these. Are the nylon beaters ok to use in my type of cookware? Thank you. Can I mix on the oven with these Nylon Beaters? I just saw them at Walmart and opened and read the instructions but it did not say,,,,, the other one NOT B&amp;D had Silicon Beates and said NOT TOO use in hot stuff.